A Live Auction item like we've never seen before! The lucky winner will be able to Pick from a new Silverado Crew Cab, Chevrolet Traverse, Chevrolet Malibu, Chevy Camaro V6 or a Chevy Tahoe and make no payments. Choose one per quarter! 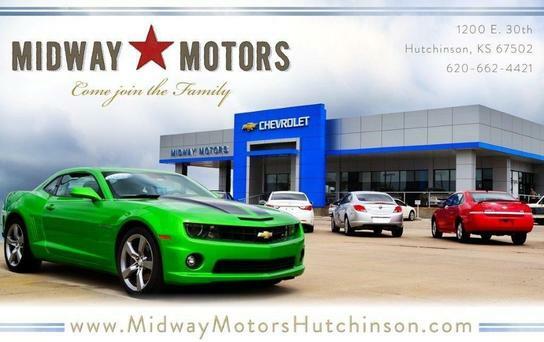 Maybe it's a pickup truck or a large SUV...maybe you are feeling that Camaro in the summer....whatever vehicle you pick, there's no monthly payment required! Winner will be required to have the following: valid drivers license, be over the age of 25, provide proof of full coverage insurance, maximum allowable mileage of 3000 per quarter, signed rental agreement. Bidder will be responsible for any damage or excessive wear and tear on the vehicle, all fuel will be at the expense of the bidder. What a great girls trip or a couples trip! Includes accommodations in Downtown Nashville, airfare for four from Wichita to Nashville, gift certificate for dinner for 4, pedal tavern ride for 4 and entry to the Country Music Hall of Fame for 4! This behind the scenes tour for six people of two brewery hot spots; Wichita Brewing Company and Walnut River Brewing includes a one of a kind tour of both establishments, beer tasting and light snacks! Transportation is included! Devin and Lauren will work with you to create a menu with wine pairings that your guests won’t forget! Choose to host your private dinner in the comfort of your own home or at the restaurant on a Monday evening of your choice. Either way, they will prepare the meal for 8 and share information all about the wine pairings. This is sure to be a fun night! If you are looking for romance, look no further than this trip to Antigua! Galley Bay Resort and Spa, a 40-acre exotic paradise surrounded by a tranquil bird sanctuary and ¾ mile long stretch of white sand beach along the crystal blue Caribbean Sea is the perfect backdrop for a getaway for two. This all-inclusive resort includes beachside dining, watersports, romance and an incredible spa! Bob and Kris Peel have so kindly donated an “Instant Wine Cellar” this year!! The package includes over $1,000 in fine wine, a wine basket and 12 Riedel glasses. Make the holidays merrier! Our little elves will come in and wrap all of your gifts for you! You won’t have to lift a finger! This package includes all of the gift wrap, bows, and embellishments as well as a gift certificate for dinner out while we do the work! Enjoy an unforgettable gourmet dinner and wine pairing for 8 in the home of Matt and Amy Bretz. Your dinner will be prepared by Chef de Cuisine, Bob Capps and served to you by sous-chefs Michelle, Amy and Matt. Wines from the exclusive collections of Caymus, Shafer and Dakota Shy will be served. Looking to host a party that they won’t forget? Bring your office, your friends or family to this fabulous Murder Mystery Party which takes place at BeeVenue, Queen Bee’s Event Space in Downtown Hutchinson! The event includes dinner for up to 30 guests (determined based on the theme you pick) and an experience they won’t forget. Winner will get to choose the murder mystery theme from three different packages. Grab your friends and pack your bags! This trip for six to Barbados will be one for the books! Enjoy a trip for six to The Club Barbados Resort and Spa. This resort is located on the prestigious platinum west coast of the island and offers guests an adult only experience. There is plenty to enjoy with spacious accommodations, three swimming pools, water sports, two dining options, spa, piano bar and lounges and more! Your trip for six includes three rooms for five nights at this incredible resort!! Every year, a special piece of artwork is created for the TECH Gala by a TECH Artist. This year, Stan Balman has been working diligently in a multi-media piece that will be exquisite. Stan has created notable pieces such as “The Lonely Man” and “The Star Conductor.” We can’t wait for our guests to see the finished piece unveiled the night of the TECH Gala! The TECH Gala Committee has stuffed this gorgeous Kate Spade purse full of goodies that any lady would fall in love with!! You won’t know what is in the purse until you are the winning bidder but take it from all of us, we would LOVE to walk away with this auction item! There’s no bigger way to say Happy Birthday, Way to Go Graduate or Happy Anniversary than on a digital billboard at an intersection of your choice! Your digital ad, which includes custom design work, will be displayed at an IdeaTek Media billboard location of your choice for one month! What a great way to share your message! Holiday Dinner for 12-15 people! Let Jackson Meat, Sunflower Supper Club and Egbert Liquor help with your holiday dinner this year! This package includes a 10 lb Beef Prime Rib from Jackson Meat, Sides and Desert from Sunflower Supper Club, and Fine Wine from Egbert Liquor. The Boness Beef Prime Rib is a centerpiece of a truly special holiday meal and one of the most delicious cuts available. Choice grade and aged for a minimum of 30 days to enhance taste and tenderness. Impress your friends and family with a top-notch holiday meal presentation! They’ll be talking about your dinner for years to come! You will be the hero of Christmas this year! Lowen is donating a sleek, wrapped K-State PowerCat Mini Truck! This is sure to be the favorite ride of the neighborhood!